Getting the older two children to sleep at night can be a bit of a battle, especially now Benjamin is here and they are jealous that he gets to stay downstairs with us whilst they have to go up to bed. When I heard about Sleep Stories I was intrigued as, let’s face it, anything that claims to help get little ones off to sleep is worth a shot! Sleep Stories was created by a father and daughter team with the aim to help children aged 3-6 get to sleep at night. Using their skills as a voiceover artist, journalist and hypnotherapist, they’ve created stories which claim to really help troubled sleepers drift off. The download process is really quick and simple. I downloaded the Sleeps to Christmas audio book to keep with the festive theme, with crossed fingers. The story follows a little girl who is struggling to get to sleep so her daddy reads her Sleeps to Christmas all about little Squishy and his path to Christmas. The children loved hearing all about Squishy (especially when it said he was like a marshmallow) and all the interesting festive characters he came across during his path towards Christmas. The calming voice and use of phrases such as ‘go to sleep’, ‘eyes closing’ and lots of yawning from the characters had me almost drifting off throughout… but did it work? For us, it almost did! The children definitely looked sleepier and sleepier as the story went on. Their eyes were closing often and they visibly seemed to be fighting sleep. However, they caught wise to it and realised that’s what was happening. Carly even told me to stop the reading as she didn’t want to fall asleep! I think this would definitely work for children who can have the metaphorical wool pulled over their eyes. For us, I think I need to go about things differently. We have done ‘guided meditation’ before which they enjoyed so if I admit this is a way to help them sleep they might be more open to it and let it work…. here’s hoping! Sleep Stories have a range of audio books available on their website. They can also be found on Instagram, where they keep little ones up to date on the adventures of Squishy through adorable tableaus. 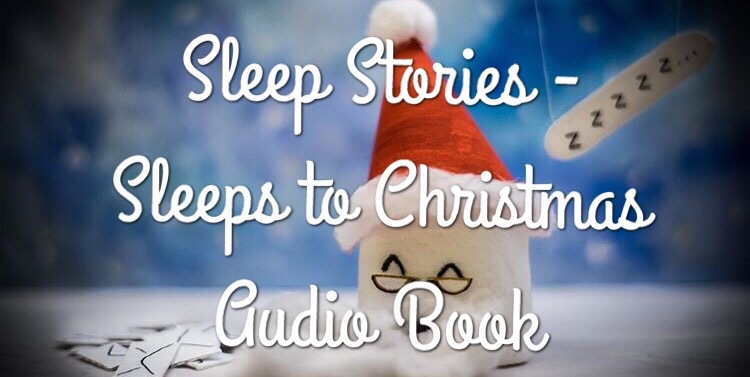 Sleep Stories provided the Sleeps to Christmas audio book for the purpose of review, however, all opinions are our own.